A space to preserve and remember. 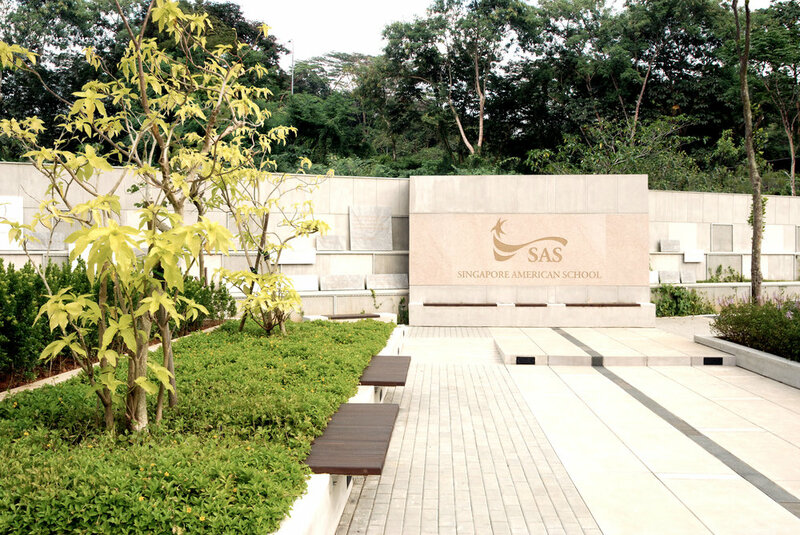 This landscape was created for a school with a highly transient population–Americans living and attending school in Singapore. In this context, Lekker were asked to create a “memorial garden” to recall alumni who had passed away, and at the same time to produce a new recreational area for the students. 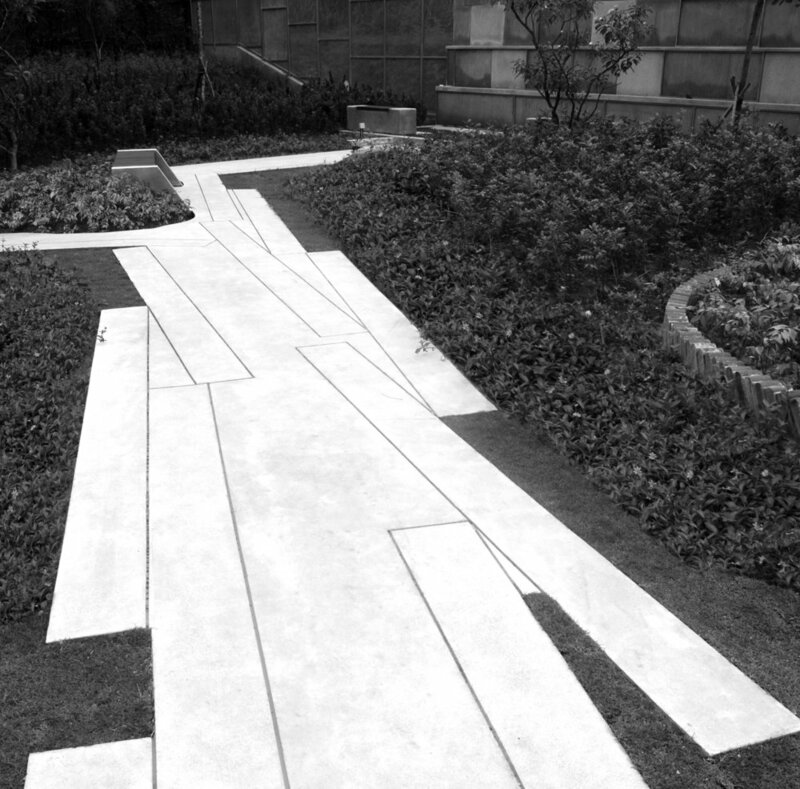 We felt that these programs were not greatly compatible, and counter-proposed a “memory garden”–a small but important shift in concept–that would provide a place to mark events, happy or tragic, in the life of the institution. The garden consists of several interlocking spaces. There is a central hardscaped walk that extends the axis of the school’s performing arts centre to the outside. Abutting this is a butterfly garden, which serves as an ecological teaching tool for the life sciences department as well as a place for study and passive recreation. 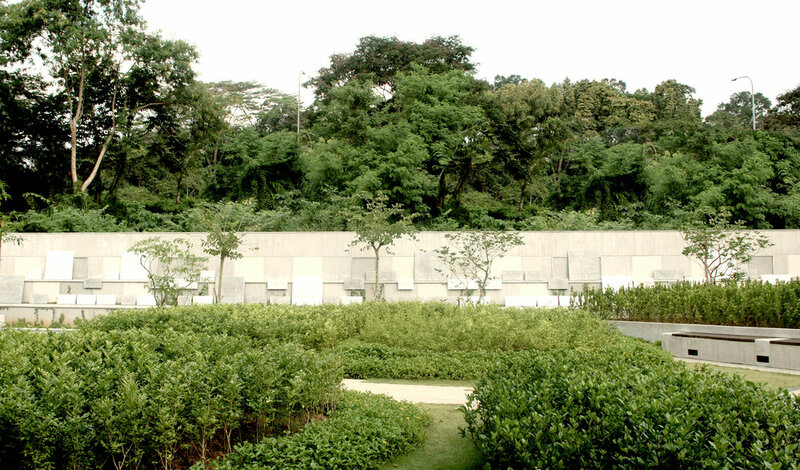 At the rear of the garden is a wall, on which plaques commemorating events are placed, in chronological order. In the middle of the landscape is a circular platform which serves as a performance stage, and a sundial. The latter has no “needle”–instead, it is calibrated so that students can stand at a given point and read the time from their own shadow as it is cast upon the ground.